More than 13 percent of all reviewed sites can be compromised automatically and 49 percent of Web applications contain vulnerabilities of high risk according to the Web Application Security Consortium. It's an increasingly serious problem that demands attention. Microsoft is hoping to do its part in the quest for greater security, announcing this week that its cloud service for building websites and mobile apps, dubbed Azure App Service, now provides Web vulnerability scanning. Thanks to an integration with Tinfoil Security, developers will now be able to ensure that their apps are secure as they are built and updated. 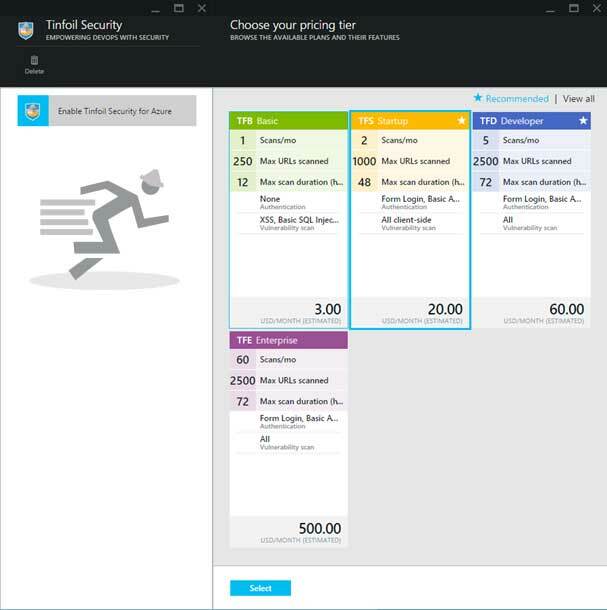 “Microsoft Azure App Service chose Tinfoil Security because they are a trusted name in Web application security and offer a strong set of services that will help our customers keep their web apps secure,” Microsoft Azure Websites software engineer Nazim Lala wrote in a blog post.